In April 2018 Taiwan's Ministry of Science and Technology approved PlayNitride's application to setup a NT$500 million (US$17 million) production facility at Hsinchu Science Park. PlayNitride aims to produce micro LEDs, display modules and panels at its new facility at Hsinchu. According to reports, Apple is in preliminary talks with PlayNitride towards a possible Micro-LED technology cooperation. 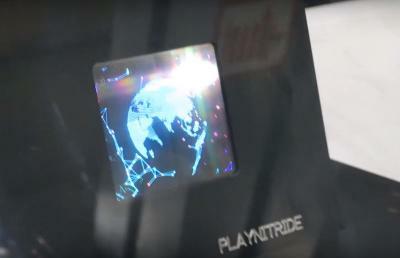 In PlayNitride's R&D setup, it takes about 10 seconds to transfer and place 200,000 LEDs - which means that a 5" panel will take only 10 minutes to produce. However the cost for a single smartphone panel could reach about $300 - much higher than the cost of even the highest-end flexible OLED. Possible applications where Micro-LED displays could succeed commercially at this stage include smartwatches, VR / AR, automotive and transparent displays. In April 2017 it was rumored that Samsung Display is set to acquire PlayNitride for around $150 million. The deal is not final, but in January 2018 it was reported that the two companies are at the final stage of their talk. Meanwhile Samsung signed a long-term agreement to co-develop Micro-LED technologies with San'an Optoelectronics, China's largest LED producer.